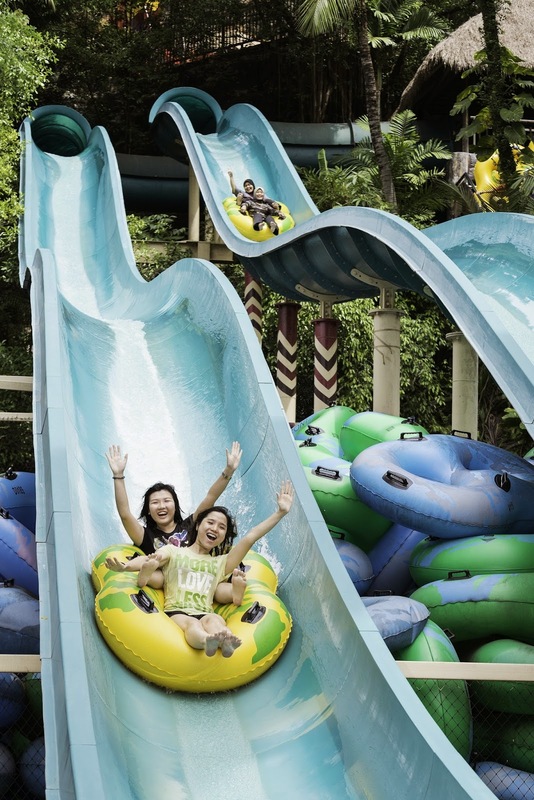 Malaysians celebrating their birthdays can enjoy FREE admission into Sunway Lagoon for a period of a week from their birthday, along with a meal voucher worth RM10, redeemable at F&B outlets within the park. 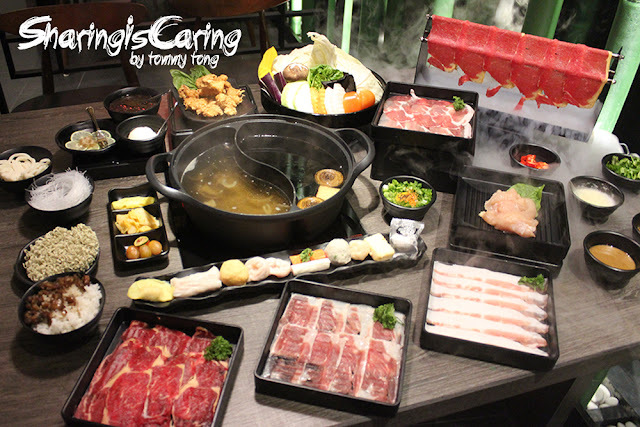 Sunway Pals members also get a free double tube to add to the merriment. 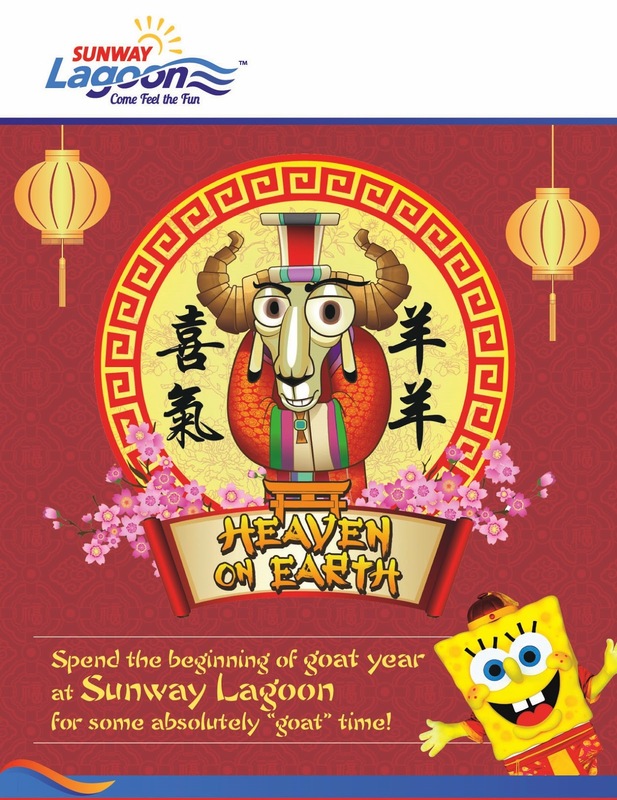 Sunway Lagoon will also offer a 30% discount off the entrance fee for up to four accompanying guests of the birthday boy or girl. 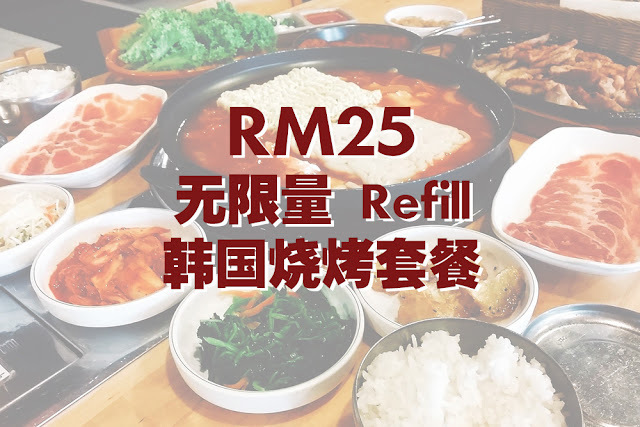 *The birthday promotion can be enjoyed by Mykad holders, which has to be presented at the ticketing counter for verification purpose in order to validate the offer. Speaking of celebrations, one lot of people who are always celebrated at Sunway Lagoon are Senior Citizens! Sunway Lagoon honours Malaysian senior citizens over the age of 60 with FREE admission into Sunway Lagoon. All they need to do is present their valid MyKad at the ticketing counter to gain entrance at no cost at all. 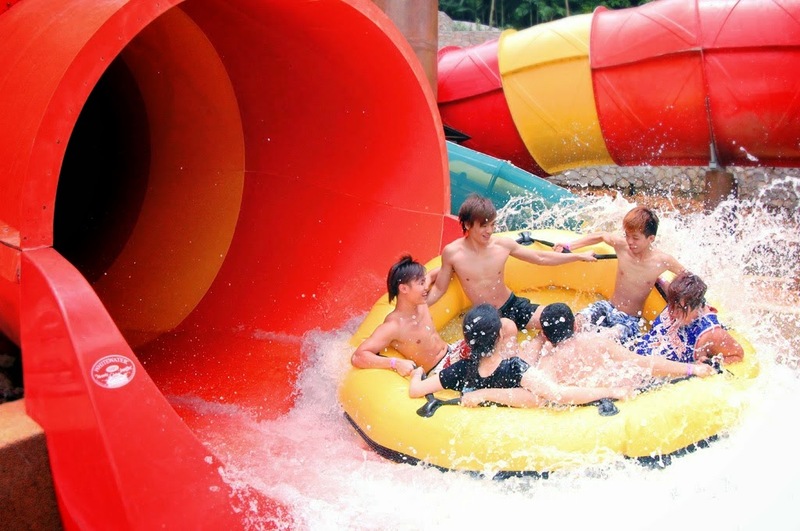 Meanwhile, Sunway Lagoon’s Quack-tastic Tuesday continues into the new year, by popular demand. On selected Tuesdays, Malaysians can enjoy all the thrills and spills at the attraction for only RM 40 per person. * The Quacktastic Tuesday offer is limited to four tickets per transaction. Tickets must be pre-purchased via sunwaylagoon.com. Guests are then required to show their e-voucher for verification upon redemption of wristbands at the ticketing counter on the respective Tuesday of the month. 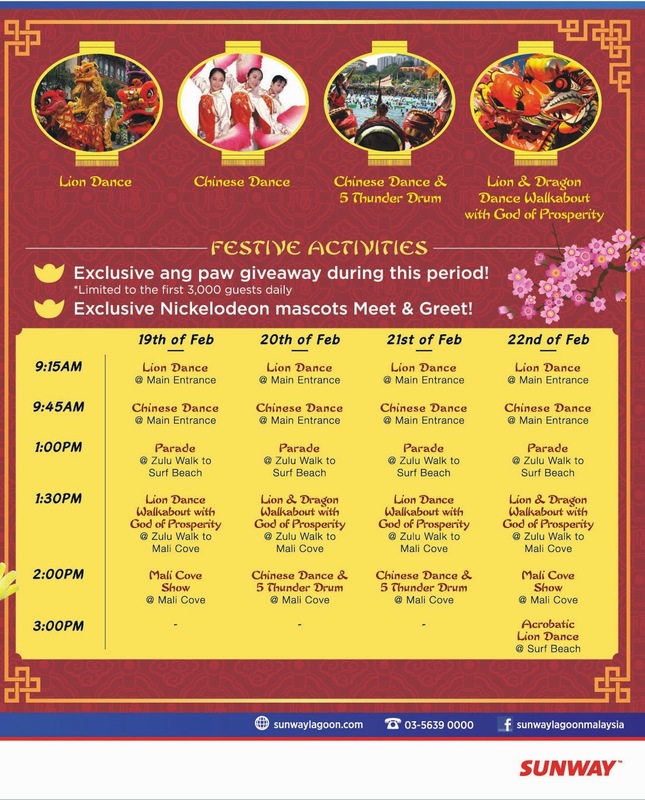 During this Chinese New Year (CNY) period, there will also be various festive activities arranged such as CNY Dance, Eight Prosperity Drums, God of Prosperity, Lion Dance as well as a Meet-and-Greet session with the Nickelodeon mascots, with exclusive Nickelodeon-themed angpow giveaways for the first 3,000 guests from 19-22 February 2015. In March this year, the park will host a roadshow at the Blue Atrium in Sunway Pyramid shopping mall to promote the many exciting components at Sunway Lagoon including its Water Park, Wildlife Park, Scream Park, Extreme Park and a sneak preview of the upcoming Nickelodeon Lost Lagoon. 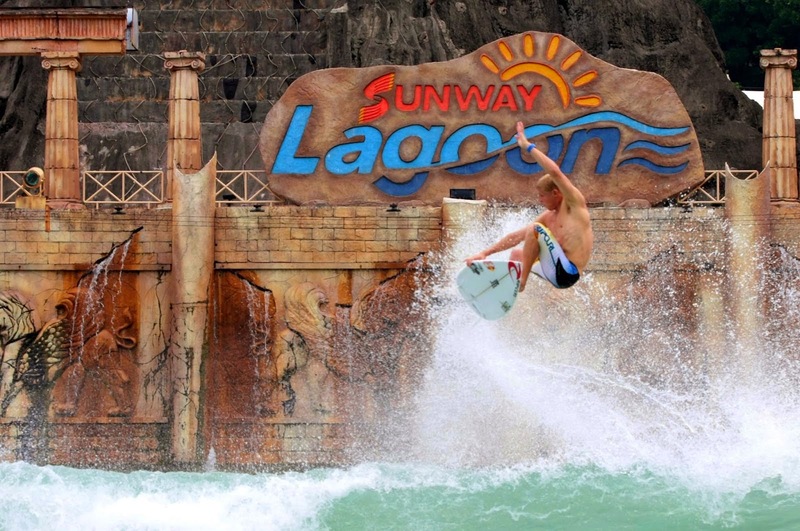 Sunway Lagoon will also offer enticing sales packages and heavily discounted entrance fees for adults, children and families for all-park access to Sunway Lagoon. 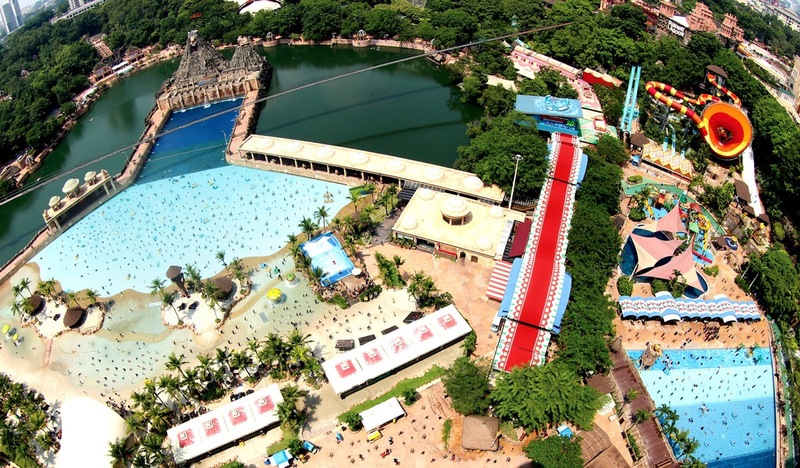 The theme park’s management has also announced that a newly revised regular entrance fee of RM145 into Sunway Lagoon will apply to non Mykad holders. Meanwhile, Mykad holders will be charged RM115 for regular admission. However, in conjunction with the upcoming festive season, the theme park will be running a MyKad CNY Promotion taking place from 1 February to 31 March 2015 in which visitors who show their MyKad at the ticketing counters will be entitled to purchase the admission tickets at RM 90 for adults and RM 65 for children.